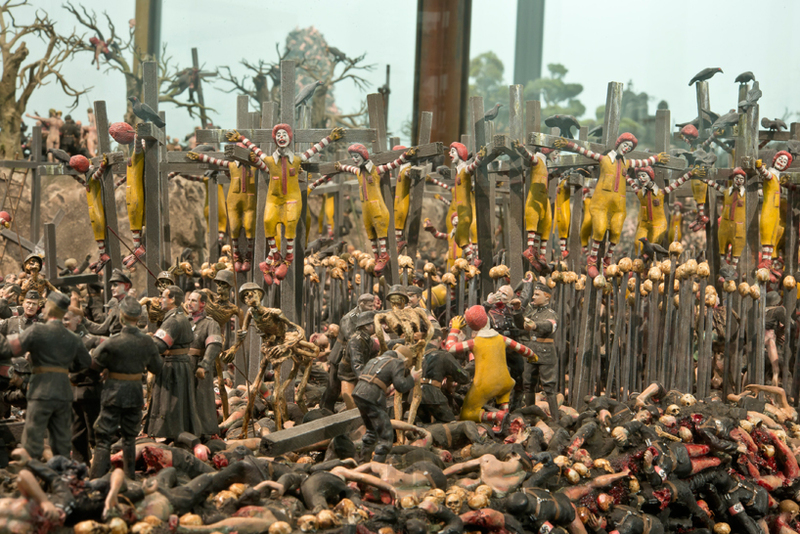 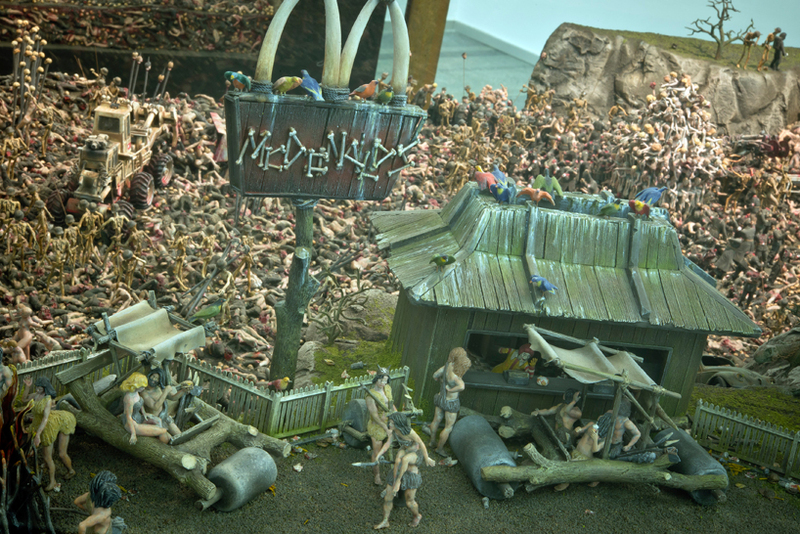 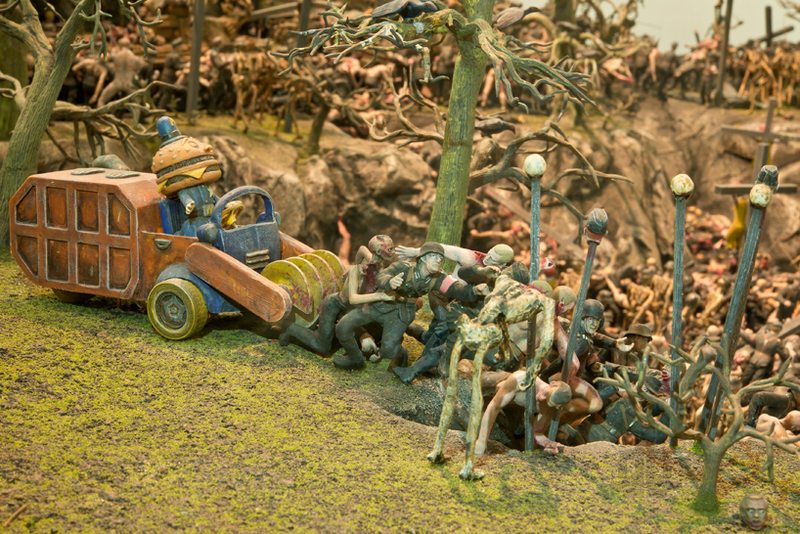 Jake and Dinos Chapman‘s controversial work entitled “The Sum Of All Evil” deals with themes such as the holocaust, violence, and death. 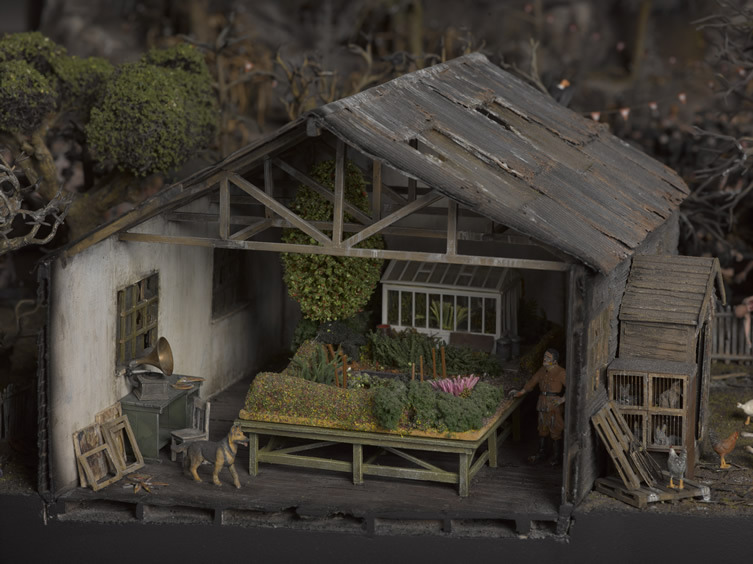 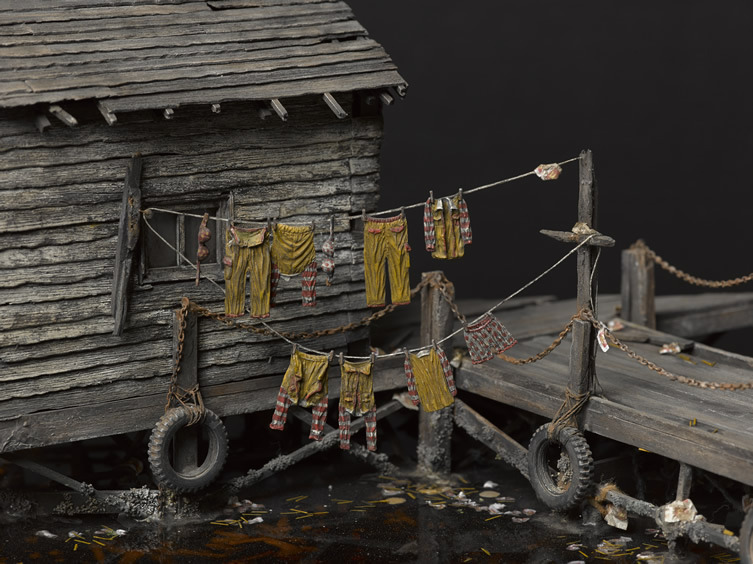 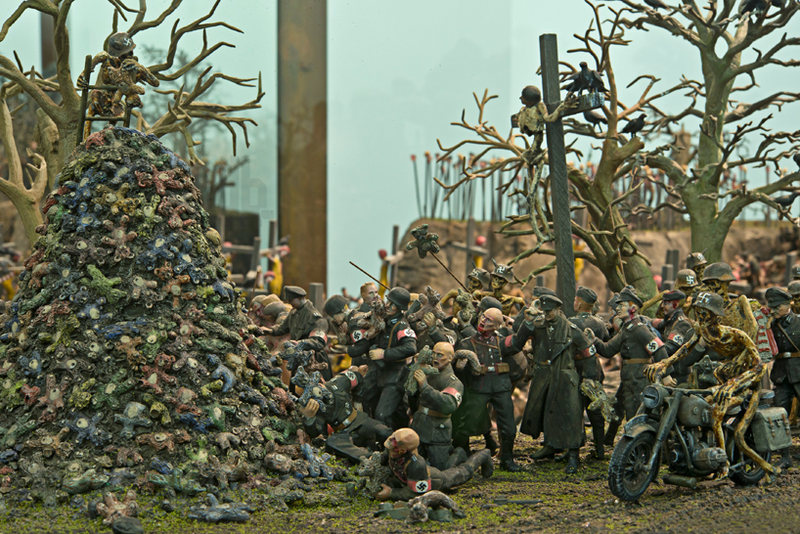 The extremely detailed and meticulously crafted miniature landscape is made up of four dioramas referencing significant historical events; including the discovery in babi yar (1941) and the ukrainian mass grave where the nazi occupier executed more than 30,000 jews in just two days. 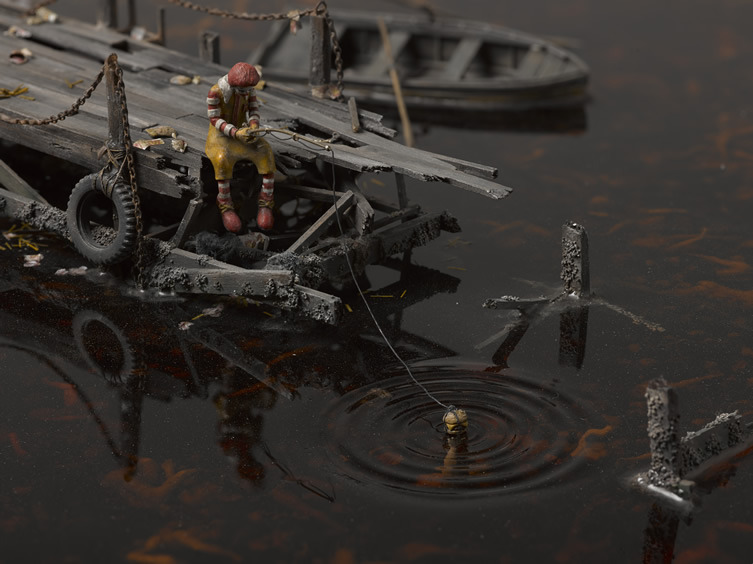 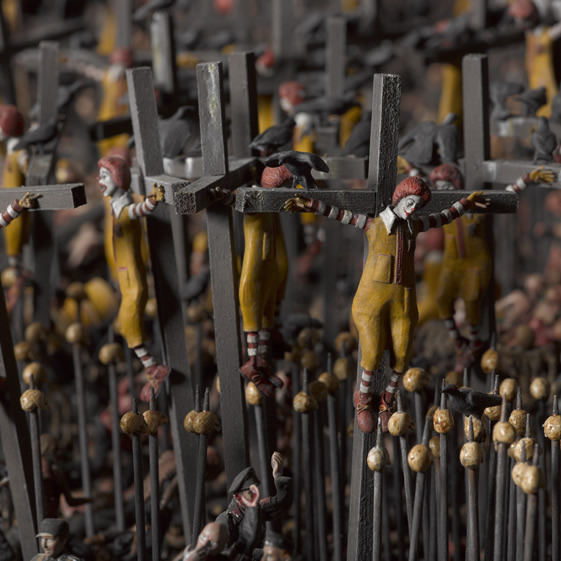 The work also combines sensitive events with mass-branding and symbols of the global fast food chain, McDonald’s.